Water is life. We depend on it. Experts agree that the body is made up of a majority of fluid to the tune of somewhere between 60 and 70 percent. 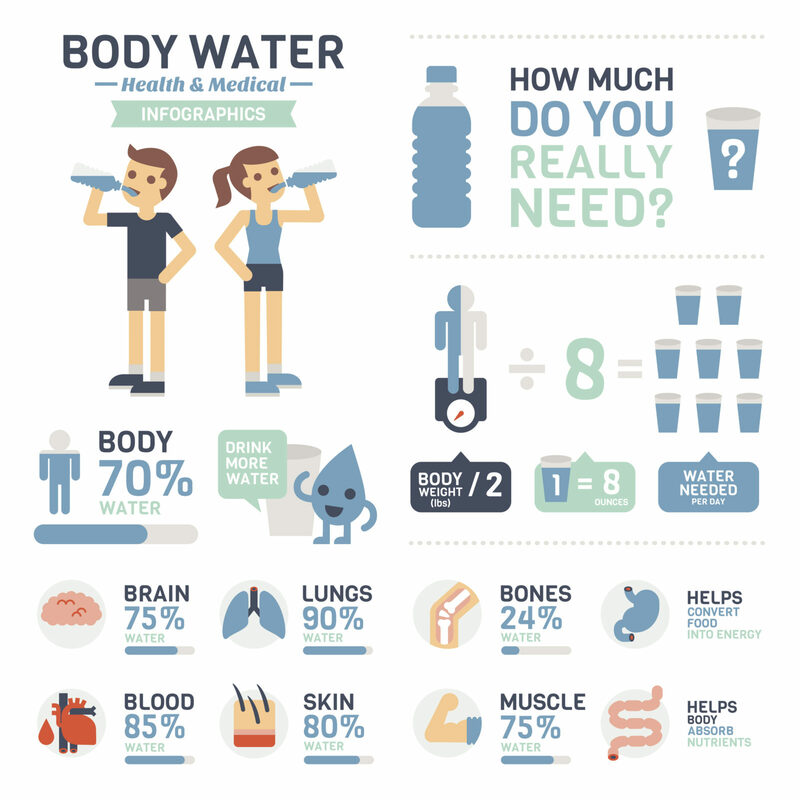 So, how important is water? It is vital to our existence. How you get that water is up to you. Doctors agree between 6 and 8 eight-ounce glasses of fluid is the magic number. However, you can consume that in water and other beverages and foods. Keep in mind, if you drink any other beverage or eat a food with juice or moisture, the fluid still comes from water. So, water is the key element here. The human body needs water to fully metabolize food. It also needs water for cell, tissue and organ function. This means if you want a healthy metabolism, it all starts with water. This also means that if you want to look good, your skin, hair, nails, gums and teeth all depend on you drinking enough water. So, get your favorite cup and fill it up. Water to the rescue! OPEN Monday-Friday 1 - 4 p. m.